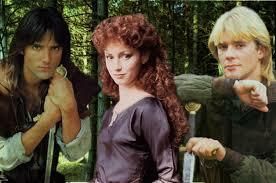 Robin of Sherwood is coming back: Are you listening? Yes- you are reading this correctly, my favourite show of all time, that classic of the 1980’s- Robin of Sherwood- is making a comeback – on audio!! Last year my blog was awash with the excitement of a one-off audio episode of Robin of Sherwood starring Jason Connery as Robin, and the rest of the original 1980’s cast. That episode, The Knight’s of the Apocalypse, was a runaway success – and so the boys are getting back together again- as well as the gorgeous Judi Trott as Marian of course! Audio programme makers Spiteful Puppet are now taking pre-orders for 4 brand-new adventures of Robin of Sherwood on audio, with the return of the original cast and – even more excitedly – both Robins. 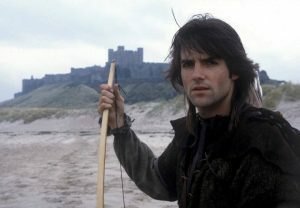 Yes, Michael Praed is returning to the role of Robin of Loxley in two stories and Jason Connery comes back as Robert of Huntingdon in the other two stories. As with last year’s audio production, work cannot go ahead with a large number of pre-orders to fund production. Spiteful Puppet are now approximately 100 orders away from doing that, with a deadline of the end of February. If we don’t manage to hit the target by then, then I’m afraid we have to halt production and refund all orders!!! DON’T LET THIS HAPPEN!!! You’d make this author a very unhappy soul if it the episodes couldn’t be made. 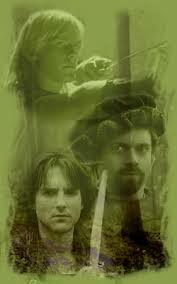 Yes, I am still obsessed with Robin Hood! Just one peep inside my novel, Romancing Robin Hood is enough to confirm that for you! …everyone who pre-orders their 4 episodes gets put into a draw to visit one of the recording sessions and there will also be signed scripts available to others!!! I had the sheer luck to be at the premier of last years episode- and it was AWESOME. Being at the actual recording would be even better!! Sadly, at the current time, Spiteful Puppet can’t take orders for the CDs or the Download if you haven’t got a UK address, due to the complicated and expensive nature of the international rights issues. However, if you can find a fan friend in the UK who will buy it for you, then please do so! 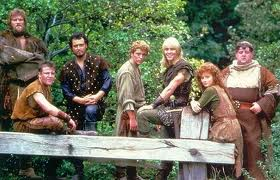 Robin of Sherwood has been a major part of my life since I was 14 – I can believe I’m getting the chance to hear new episodes now I’m in my 40’s!!! If you have any questions re the pre-orders or Robin of Sherwood in general, I’ll be happy to pass them on, or try and answer the queries myself. Nothing is forgotten. Nothing is ever forgotten. That saying is always remember robin. God bless. Have a nice future Robin of the Sherwood and Robert of the Huntington. Have a prosperous future. I am sanjeewa silva from Sri Lanka. It is very sad, that Spiteful Puppet can’t take orders for the CDs if one haven’t got a UK address. I hope you hit the target! Greetings from Austria!